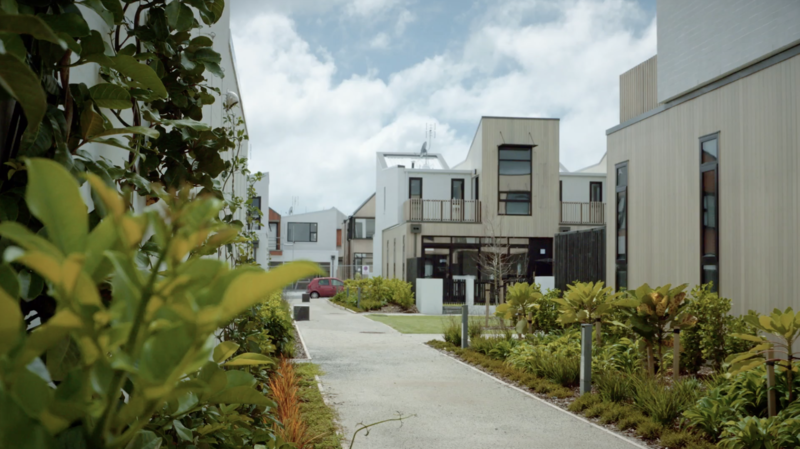 Hobsonville Point is so much more than a housing subdivision. It's a township in the making and already a busy, thriving community. Take a sneak preview before you come for a visit. The business is going really great, because people can come from all over Auckland. We’re so close to the motorways. The best things are the comradeship here, the people and the open spaces. Everything's so close, it's really handy. It's really well-designed... Honestly, we love it. You walk outside your house, you talk to your neighbours... Everybody knows everybody, and that's good. "What was good about buying this particular terrace was that we couldn't make a lot of changes. Building can be a stressful process. When you buy a product off the shelf the dilemma of choice gets taken away."